Wash the asparagus and remove about 1/2 inch of the stem if it is woody, otherwise just trim the ends. Mine were small and not at all woody, so they only needed a trim. I heated a grill pan and placed the asparagus on it. Drizzled them with olive oil and seasoned with ground sea salt and ground pepper. Turning them every few minutes until they looked grilled with a few char marks. Place on a platter and season with additional salt and pepper. Serve. Enjoy (them for me- for I will be taking a break from eating them again). 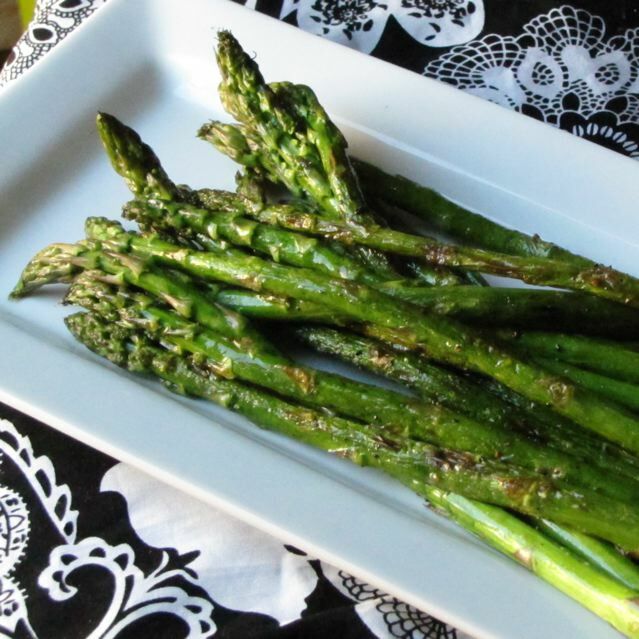 Categories: Side - Vegetable, Side Dishes | Tags: asparagus, grilled asparagus | Permalink. An easy way to prepare zucchini is to slice it lengthwise into long strips and to grill them on a prepared and preheated grill pan. To prepare the grill pan spray it with some cooking spray and after it is preheated lay the zucchini on the grill pan. Season with ground sea salt and freshly ground pepper. Cook the zucchini turning it every few minutes until done. This is really quick – 10 minutes maximum. Place in a bowl and sprinkle quality balsamic vinegar over them. Season with more salt and pepper if desired. 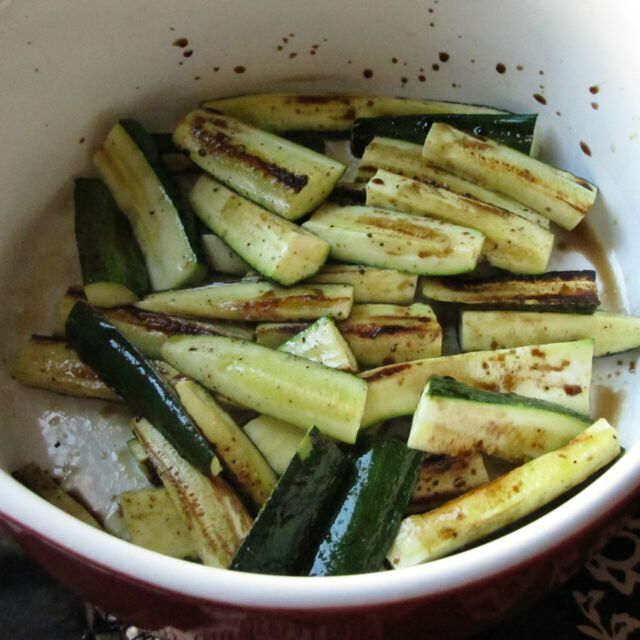 Categories: Side - Vegetable, Side Dishes | Tags: grill pan, grilled zucchini, zucchini | Permalink. This comforting soup is from a Cooking Light Cookbook that I own. It is the 5 Ingredient 15 Minute Cookbook (1999) by Cooking Light. I love the simplicity of the recipes in the book. I whipped this up for lunch for my husband and I. I changed it up a little, adding yellow squash and a little Parmesan Cheese to serve; I also nearly doubled the recipe because I like left overs and the kids thought they wanted to have some- then they changed their mind and I had extra extra. 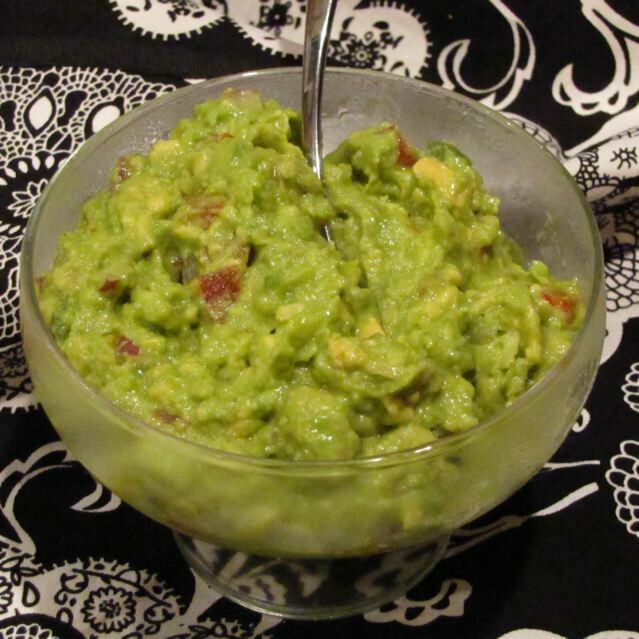 It is an easy recipe to make however and best of all ready in a snap! Combine the stewed tomatoes, chicken broth, basil and oregano. Bring to a boil and cover, reducing the heat. Simmer for about 5 minutes. 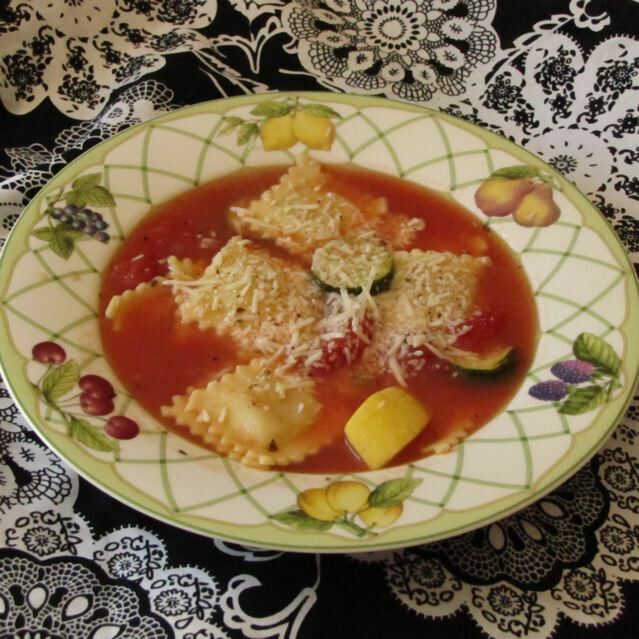 Add your ravioli, zucchini, yellow squash, and ground pepper. Bring to a boil again. Reduce the heat again and cover to simmer for about 8 minutes. Ladle the soup into bowls and sprinkle with Parmesan cheese and a grind of freshly ground pepper. Categories: Main Dish, Main Dish - Soups, Vegetarian | Tags: Cooking Light Soup, Easy Soup | Permalink. This recipe is from one of my favorite recipe books: The Complete America’s Test Kitchen TV Show Cookbook 2001/2010. It is a great resource for seasoned cooks and new cooks alike. I had purchased some pork tenderloin (lemon garlic seasoned pork tenderloin) and wanted a speedy way to prepare it for dinner on Sunday evening. 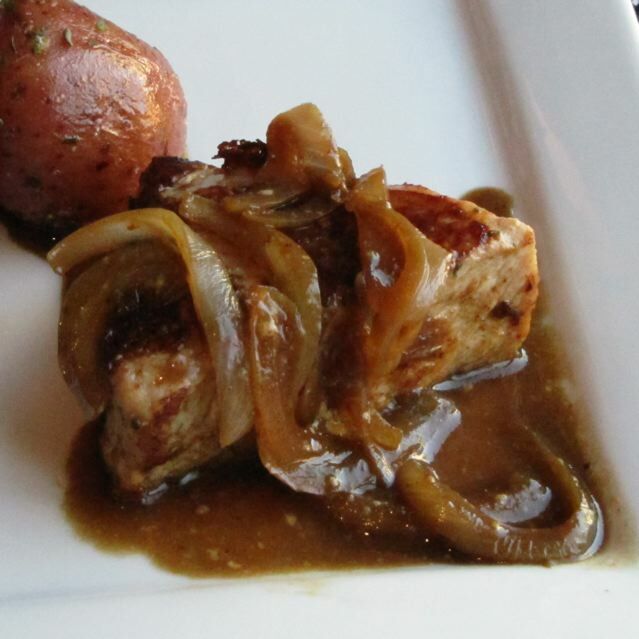 I love the sweet of the Maple Syrup paired with the balsamic vinegar in the sauce. The mustard gives it a nice tangy flavor as well. Great with potatoes too. Open the package of pork tenderloin, remove the silver skin along the edge with a sharp knife. Pat the tenderloin dry with paper towels and cut them into 1 1/2 inch medallions. Season each side with some Kosher salt and pepper. Preheat a 12 inch heavy duty (not non stick) skillet with 2 Tbsp oil over medium high heat and until the oil is shimmering, but not smoking. Add the pork to the skillet cut side down and allow to brown for 3 to 5 minutes. Turn the medallions with tongs to brown the opposite side for the same amount of time. Turn and brown the sides of the pork for about 2-3 minutes before rotating to another side. The internal temperature of the pork should be 140-145F. Pour off any remaining fat from the skillet (there will be browned bits from the pork – leave that it will add flavor to the sauce), add the vegetable oil and cook the onion slices over medium heat until slightly browned and softened. Add the chicken broth and cook, scraping the bottom of the pan to loosen the browned bits. Bring to a boil and reduce the liquid by half. Reduce heat and add the remaining ingredients and whisk to combine. Season with salt and pepper if desired. Pour over the cooked pork medallions and serve immediately. I served it with green beans and parsley potatoes. Categories: American Test Kitchen Recipe, Main Dish, Main Dish - Pork | Tags: America's Test Kitchen recipe, Pork Tenderloin Medallions | Permalink. 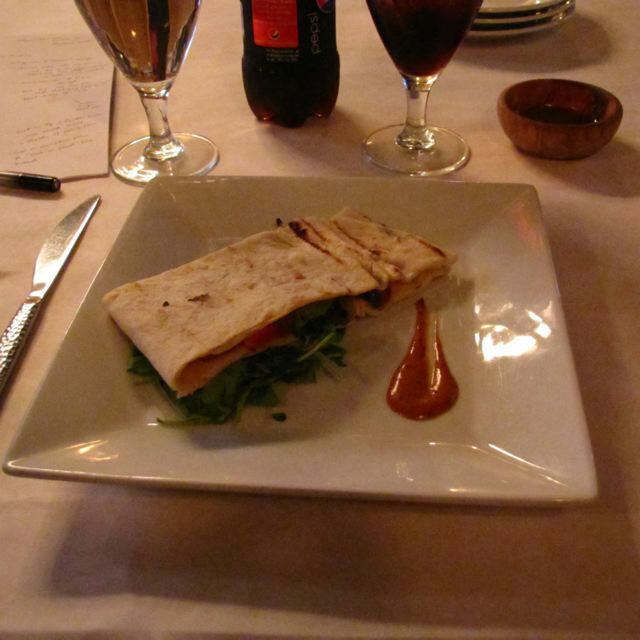 No, there isn’t a rat in this dish, nor was it prepared by one as in the popular Disney movie! 🙂 It is a wonderful vegetable side though. I found the recipe on allrecipes (of course). I did make a few changes to it though. I used Asian eggplant, since I had heard it is less bitter than the traditional eggplant you find (Most grocery stores carry them, but if you must use a purple one try to find a smallish one that will be less woody and taste less bitter). I also omitted green peppers. Instead of layering them like the recipe called for I arranged them in a circle in the oval baking dish I was using. I increased the amounts for more servings. I liked this dish. I may even like eggplant! It is a little time consuming to arrange it nicely, but if you are in a hurry arrange them however you wish. Preheat the oven to 350F. Spray the baking dish with cooking spray. Heat the olive oil in a large non stick skillet. Sauté the garlic until lightly browned. Add the sliced eggplant and dried parsley. Sauté until the eggplant is tender, but still holds its shape. Season with salt. Arrange the eggplant in an oval dish starting along the outside edge and working in. 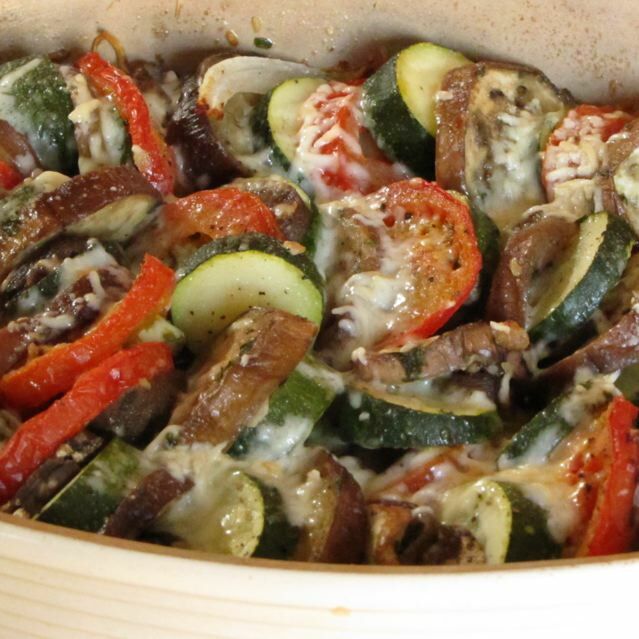 Alternate the slices of eggplant with slices of zucchini, tomatoes, onion, and mushrooms. As you work, add in more slices to make the vegetables almost stand on edge, filling in where you have gaps. 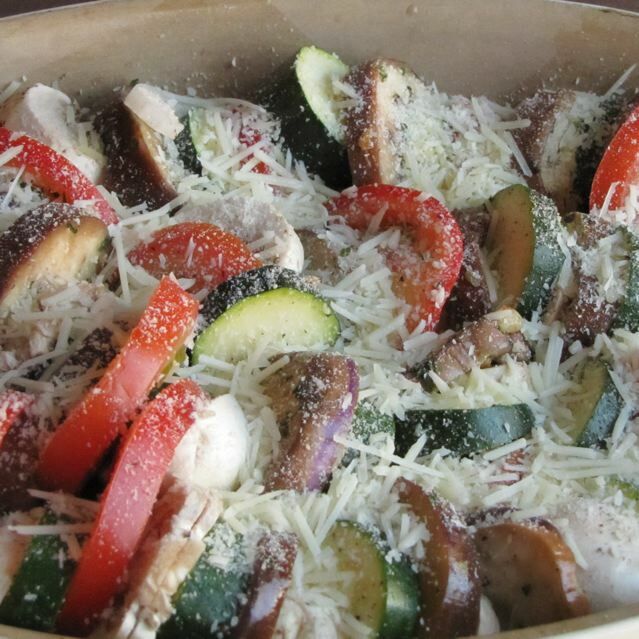 Sprinkle the the vegetables with Parmesan cheese. Season with salt and pepper. Bake in a preheated oven for 45 minutes. Enjoy. I will make the dish again with the changes I made.